Our premium Original baby carrier is award winning, ergonomic, and a global best seller. It is great around the house or on-the-go and it has a big, roomy pocket to carry all your essentials. 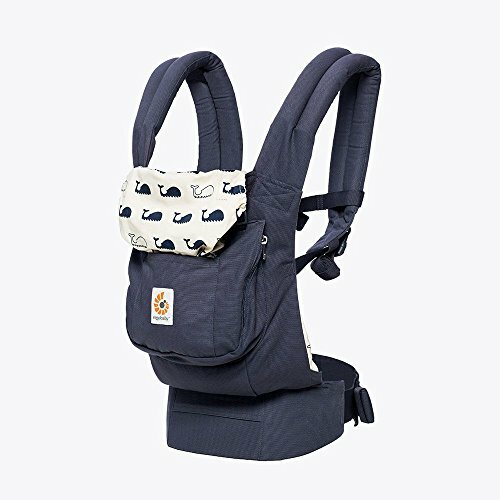 MAXIMUM COMFORT FOR YOU- Long-wearing comfort for parents with padded waist belt & cushy shoulder straps that distribute baby's weight evenly between hips & shoulders. The lumbar support waist belt has double adjusters that allow for easy tightening. HIP HEALTHY & ADJUSTABLE-Acknowledged by the International Hip Dysplasia Institute as a hip healthy product. The Original carrier is designed to fit all parents. It easily adjusts to fit different wearers from petite to larger body types.